When a film’s director has only one other directing credit to his name – in this case the little known Old Explorers from 1990 – trepidation creeps in. But Bill Pohlad has obviously gained a wealth of knowledge in his role as a producer in the twenty-five years since (with producing credits including Brokeback Mountain, The Tree of Life, and 12 Years a Slave to name a few), as he has created a truly marvellous film in Love & Mercy. 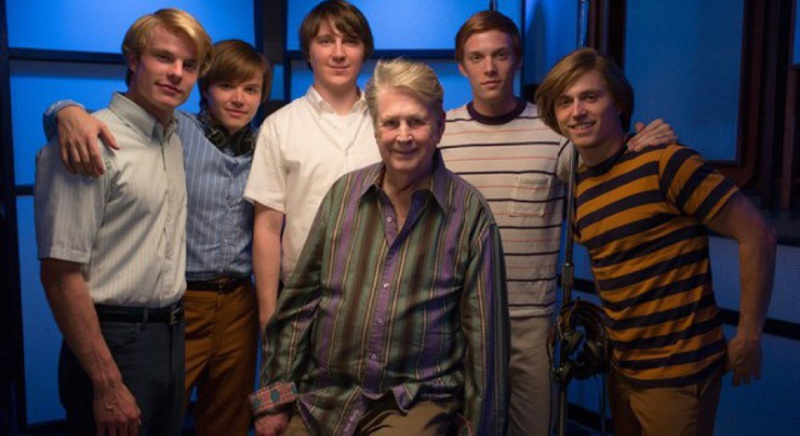 Rather than being a biopic in the traditional sense, Love & Mercy concerns itself with two distinct time periods in the great Brian Wilson’s life. The first is circa 1964-68, when Wilson (Paul Dano) battles early psychosis while creating his masterpiece, Pet Sounds. Between the years of 1985 and 1992, Wilson (now played by John Cusack) meets his wife-to-be Melinda Ledbetter (Elizabeth Banks) while under the watch of his abusive therapist and legal guardian, Eugene Landy (Paul Giamatti). While there are some flashbacks to Wilson’s earlier days, Love & Mercy has a very specific focus. Time isn’t wasted on the formation of The Beach Boys and their earlier success (the latter shown in a brief montage at the very start of the film), but the film more notably excludes Wilson’s period of rock bottom during the seventies. Incorporating this section of his life was reportedly considered during pre-production, but ultimately discarded. While this is somewhat disappointing – culminating in an ending which felt like it came too soon – it’s not altogether necessary, and results in a film of an appropriate length (121 minutes). The film reportedly took very few creative liberties, presenting a very factual version of events. Brian Wilson’s journey to hell and back is clear (even without the middle period). After suffering years of physical and emotional abuse by his father (who told him God Only Knows would never be a hit – DUMBARSE!) and delving into illicit drug use, he suffered from psychosis. Though initially diagnosed with paranoid schizophrenia by Eugene Landy, this diagnosis was eventually retracted and changed to manic-depressive with schizoaffective disorder. 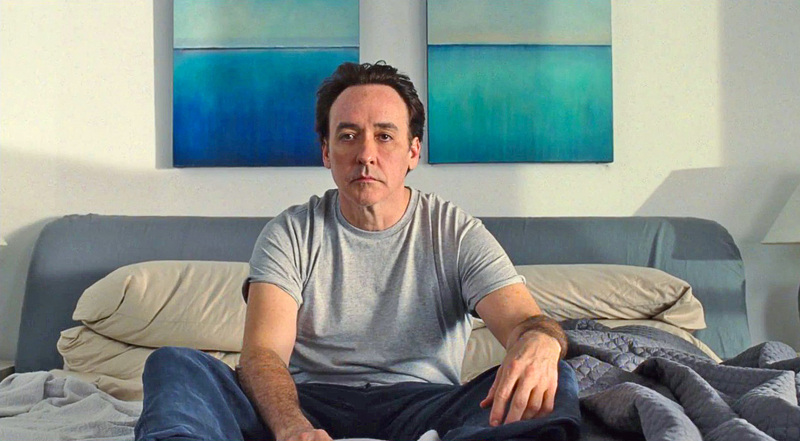 Love & Mercy does a fine job in portraying Wilson’s auditory hallucinations, which are cut with the music and enable the audience to gauge the overwhelming sense of being trapped inside his own head. History is shown to repeat itself in the second timeline, in which Landy becomes the abusive father figure who hinders rather than helps Wilson’s progress. The four leading players in this film are exceptional. Is it too early to suggest that Paul Dano start getting his Oscar speech ready? His transformation here is phenomenal, and the weight gain isn’t even half of it (besides, doesn’t every actor do that now?) John Cusack similarly plays the softly spoken Wilson with delicacy, and the two of them are shining stars in a film where the risk of casting two vastly different actors as the same man has certainly paid off. Elizabeth Banks also wows in a much more understated role than we’re used to seeing her in, proving she can do more than just comedic brashness. And as for Paul Giamatti, he’s brilliant in everything, but here he hits it out of the park in an absolutely chilling performance. He musters up feelings of revulsion and awe all at once, and never falls into the trap of one-dimensional villainy. 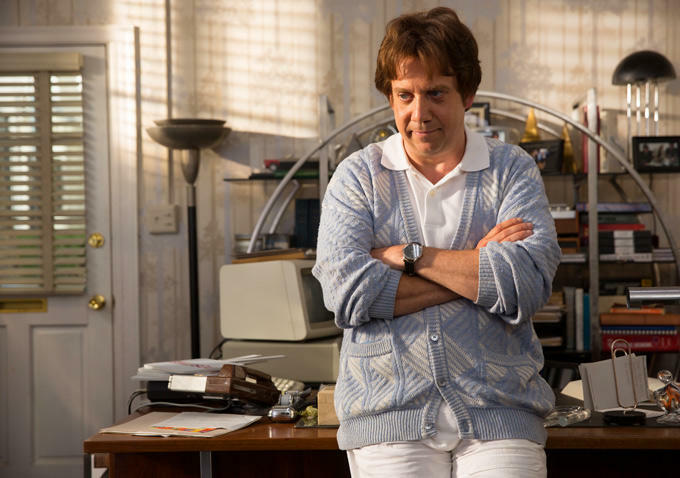 Paul Giamatti – there’s nothing quite as frightening as an 80s cardigan. Given everything that Wilson went through, his artistry is all the more impressive. The greatest moments in this film are those in which we are witness to his artistic genius in the studio. His ear for music is almost incomprehensible to us mere mortals, and the fact that he was 96% deaf in one ear (thanks to his abusive father) is astounding. Beach Boys songs have always been awesome, but you’ll look at them in a whole different light after this film. This man is a living treasure, and nothing short of inspiring.